Preston turned seven years old on 7/9. Nolan’s birthday is a day later and he turned two. 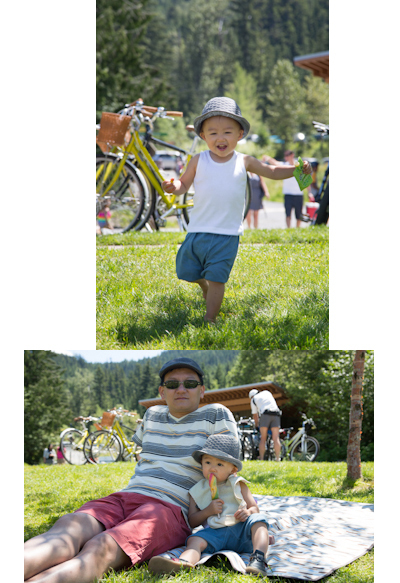 The whole family celebrated the double birthday with a family trip to Whistler, British Columbia, Canada. Whistler is a well-known ski resort, host of the 2010 Winter Olympic Game. Summer in Whistler is also absolutely gorgeous! Preston and Nolan opened their birthday presents from Mommy and Daddy at Lost Lake. Preston had fun swimming in the lake and went canoeing with Mommy and Daddy. Nolan was too young to go canoeing but that didn’t mean he had to miss out on all the fun. Whistler is such a fun place to visit. Mommy and Daddy want to make this an annual trip! Back at home, the birthday celebration continued. Mommy baked some biscuits with the awesome doggie biscuit maker Preston received from Oliver and Jack last Christmas. Preston and Nolan got some really awesome presents from their puggle pals. Thank you all for thinking of Preston and Nolan on their birthdays. Oliver and Jack sent a BIG present that both Preston and Nolan love, a play tent! Nolan is very much into fire trucks right now. He received perfect presents from Bruschi and Ebby. Preston can always sniff out the goodies from Woof Gang Bakery when the packages from Bruschi and Ebby arrive. Preston got his first Barkbox in the mail. It was from Poochy puggle! Mommy was always curious about what comes in the Barbox. You won’t know until you receive one! 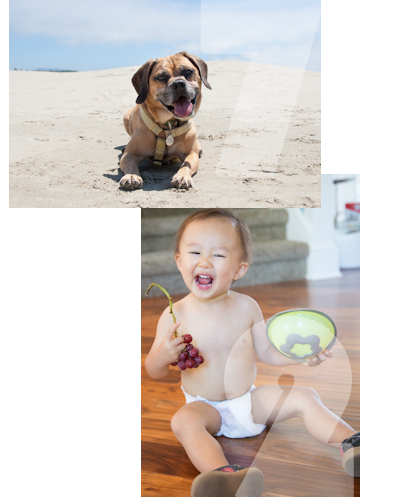 There are samples of treats, neat gadgets and new toys to try out. It is such an awesome idea. The surprise is always part of the fun! It sure looks like Nolan and Preston have great fun on their birthdays! 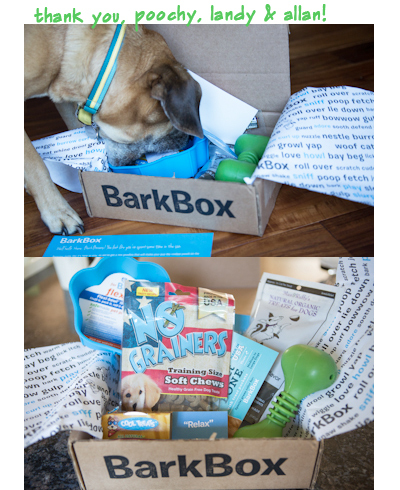 Minnie, Mack and Mario receive Bark Box every month and always look forward to opening it as well. Poor Nolan and his broken arm. Hope it heals quickly and straight! Happy Birthday to both you and Nolan, Preston! What a wonderful trip and such nice gifts! We hope Nolan’s arm heals quickly!